Queensland mare Winter Bride has swept to her second win during the Melbourne spring carnival. Queensland mare Winter Bride has continued on her winning way with a second Group Three victory during the Melbourne spring carnival at Caulfield. The Toby Edmonds-trained Winter Bride resumed from a let-up with a win in the Group Three How Now Stakes on September 22. 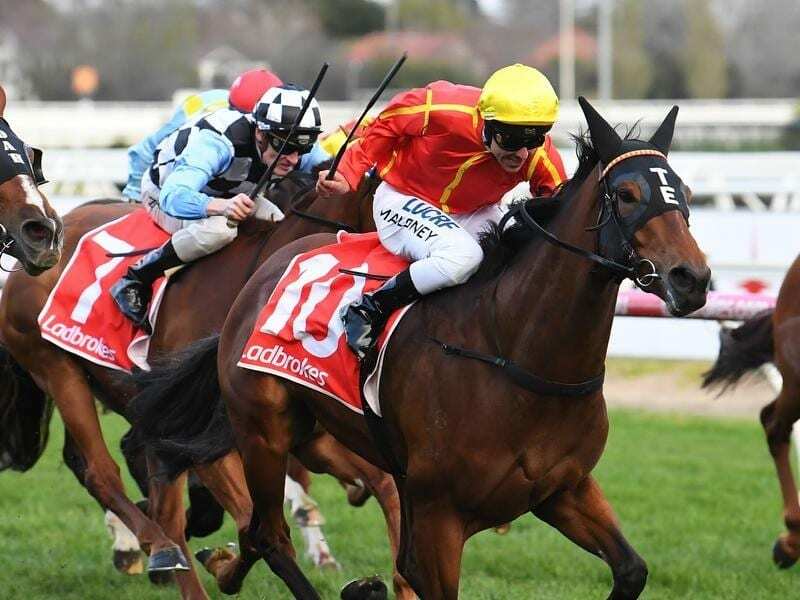 And the four-year-old backed up that performance with another strong performance to narrowly take out Saturday’s Cape Grim Beef Stakes over the same 1200m course at Caulfield. The victory extended the mare’s current winning sequence to four races stretching back to the Queensland winter and took her overall record to eight wins from 16 starts. With Ryan Maloney aboard, Winter Bride ($4.80) withstood a challenge from Booker ($13) on her outside to get home by a short-head in Saturday’s race with 1-1/4-lengths to Our Crown Mistress ($19) third. “She was game again today,” Edmonds said. “She had a bit of weight (57kg) and she has gone up pretty quickly in the weights so that was against her. “I’m not sure where we’ll go now. We came down here taking it one race at a time and we’ll work out where we go after today.